Good morning from the snow and slush covered Cereal City. As the cameras and political personalities continue to swarm upon our state in advance of the upcoming caucuses and eventual election, our quadrennial chance to highlight our state beyond the vast cornfields and livestock pastures is once again at hand. To many outside the Midwest, Iowa is nothing more than a resource center; a state filled with simple people tasked with growing crops and raising animals. We know better. Smooth talkers with slick hair styles will promise change without ever knowing if they can truly provide it. But we will be hospitable, because thats what we do as Iowans. We’ll open our state, put our towns and cities on display and provide a jumping point for these Presidential hopefuls. A few weeks ago Donald Trump was in town, speaking a few blocks away from Bricks. Afterwards, some people that had been in attendance came in for some dinner and drinks. They appeared to be part of the campaign because of their attire and the buttons that a couple of them were wearing. I was behind the bar that night and listened to a couple of guys laugh and joke and make rude remarks about this group of people that simply wanted to go out and have some dinner. They weren’t campaigning, they weren’t bothering anyone. Now, it is not the point of this post to get into politics. It could have been any of the candidates, Republican or Democratic, that this group supported. The point is that as all of these people descend upon our state we need to remember that they are exactly that: people. They go home at the end of the day to families, they find joy in many of the same things that we do, and they experience heart ache just like we do. They will come and they will go. They will return back to their home states with memories of their time spent in Iowa. Some will be good, some may be bad. It is up to us to make those memories. I had the chance to meet the owner of Biscayne Bay Brewing, Jose Mallea yesterday as he happened to have lunch here at Bricks. It was fun talking beer with someone that has his perspective, finding out what the differences in the brewing scene and market are between Iowa and Florida and also how they are the same. I learned about the Florida beer scene, their business model, and the difficulties that they had run into while trying to get licensing. In return, he was able to learn about some of our local beer, most notably Big Grove and Lion Bridge. It is these kinds of interactions that make the beer community so enjoyable; being able to share the culture, styles, and stories of our local breweries. With that, lets get on to the beer. 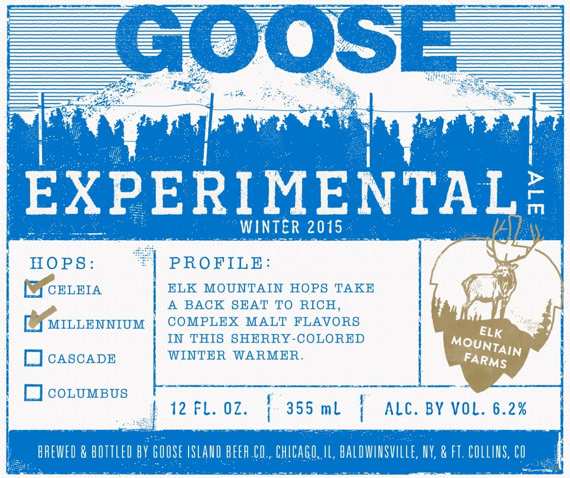 Does Goose Island actually make a bad beer? Certainly not that I’ve had. EWA pours a nice mahogany color with a slightly off-white creamy head. A sweet caramel aroma greets you at first that follows through in the flavor. The sweet flavor comes to a close with a nice bitter finish creates a natural desire to take another sip. A great winter warmer that reminds us, January might be winding down but winter is far from over..
Gose is an old German style that died out a couple of times throughout history before being resurrected relatively recently (1980’s is recent right?). It originated in the town of Goslar sometime in the 16th century and by definition is brewed with at least 50% malted wheat. This is a fun style because similar to a berliner-weisse, which has gained popularity lately, it is a sour style with low ABV making it a great summer beer. In contrast to berliners though, it is brewed with salt which naturally cuts down the tartness created from the lactobacillus bacteria and generally creates a more balanced beer. 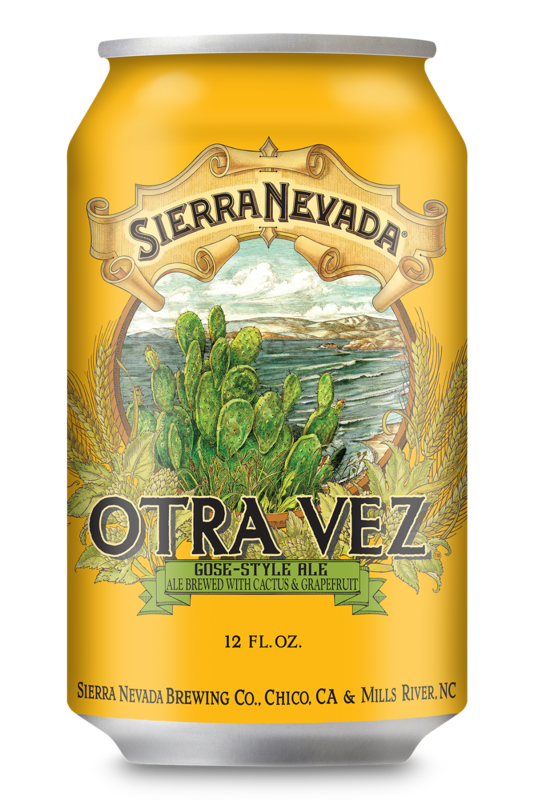 Be on the lookout for Otra Vez from Sierra Nevada. This is a beer that I can’t wait to have in a can during the summer months. Otra Vez is brewed with prickly pear cactus and grapefruit which gives it an even more refreshing flavor and reduces the tartness. Make sure to grab a couple 12 packs before you head out to the lake this summer. Quick reminder that on Thursday we’ll be featuring a couple of new year-round beers from Green Flash: a wheat beer called Passion Fruit Kicker and Tangerine Soul Style IPA. Next Tuesday, February 2nd we’ll be featuring the new Spring seasonal from New Belgium called Side Trip which is a Belgian Pale Ale. Come after work from 5-7 and we’ll be giving away a couple of tickets to the O.A.R. show that night at the Paramount Theatre a couple of blocks away. The show starts at 7:30. Thats all for today from here at Bricks. Be well, Iowa. Share our state. Show the rest of the country all the good things that have been happening here in the last four years. Show off our restaurants, our bars, and our businesses. Show off our beer; our culture. We may just change a few people’s perception of our state. Stay tuned for more good things this week.